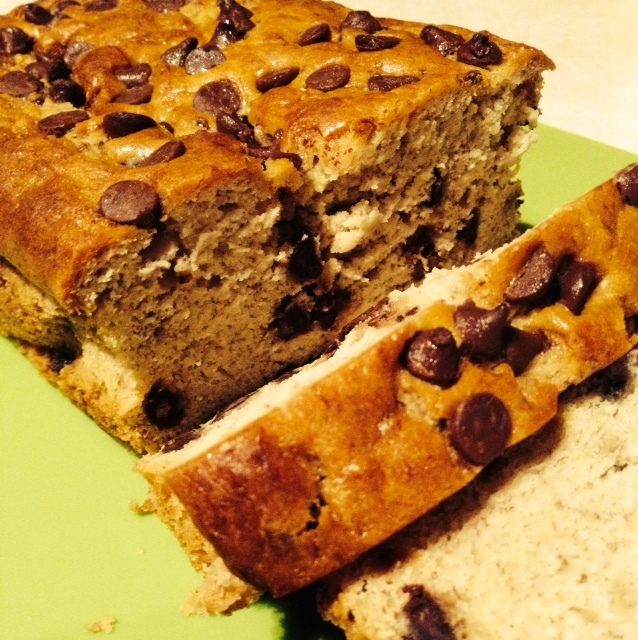 I used to think of banana bread as nothing more than a way to use up the superfluous bananas in my freezer. I mean, I like it, but I mostly made it to free up some freezer space. And to increase my chocolate chip consumption. That is, until I found this recipe. It might look pretty similar to every other version, but the addition of cream cheese? It takes it to a whole new level and gives it the most amazing texture. The bread is super dense and cakey and stays that way for days. I love making a double batch and freezing a loaf for an impromptu breakfast treat. Recently, I brought some to work to share with the awesome girls in my nook. They loved it and a couple asked for the recipe. I’m hoping that sharing it with them ups the probability of more banana bread at the office. I call first slice. Preheat oven to 350 degrees and line a loaf pan with tin foil. Spray with cooking spray. Cream butter, cream cheese, and brown sugar until light and fluffy. Stir in mashed banana, sour cream, and egg. Add dry ingredients and mix to combine. Stir in chocolate chips. Pour into prepared pan and bake for 60-75 minutes. Let cool in pan and remove from foil. Slice and serve.